The educational provisions in the Copyright Act are insufficient to cater to the copying and other content requirements of most education providers. Tertiary education providers enter into licences to increase the amount of a work that can be copied for their students. A licence is essentially permission to make more use of a work than is otherwise allowed under copyright rules. Rights in a particular copyright work can be licensed separately for a particular purpose, term or place and subject to conditions such as payment of a fee. The terms of any licence that a tertiary education providers enters into covering the use of certain copyright material impacts on how that material may be used by staff and students. The Copyright Act provides for licensing schemes to extend permitted uses of copyright in an educational context. To overcome the challenges of licensing faced by copyright owners where there are multiple works being used by institutional users, copyright owners have formed collecting societies to act on their behalf and license their works under licensing schemes. As there is no system of copyright registration in New Zealand and no central database that you can search to find a copyright owner, collecting societies benefit tertiary education providers because they can deal with one locatable entity rather than a multitude of individual owners. There are several licensing schemes available to tertiary education providers in New Zealand. Institutions that have a licence agreement with a collecting society do not need to get direct permission from copyright holders provided that the copying or other use is within the terms of the licence. How do I know what material is included in the licence? Your CLNZ licence covers a wide range of material that originates from printed copies of books, textbooks, journals, periodicals. Some licences also include newspaper articles--check your licence to see whether this material is included, and if you're unsure contact CLNZ for help. Our licences only cover material that originates from printed copies--sometimes called hard copies. However it's important to remember that even if the material originated from a print version, if the printed version is scanned and converted into a digital copy (like a PDF) then it will still be covered by the CLNZ license. Sometimes it can be difficult to determine whether a scanned digital copy originated from a printed version, although in most cases the copy's layout will be indicative of its origin. If you're unsure then you could look at factors like the digital copy's citation metadata, information provided in the course pack, similarities with a printed copy in your library, etc. You're also welcome to contact CLNZ; we may be able to assist. There’s just one exception to the rule that the licence only applies to material that originates from printed copies: if your licence includes newspapers then both print and digital sources are included within the licence. 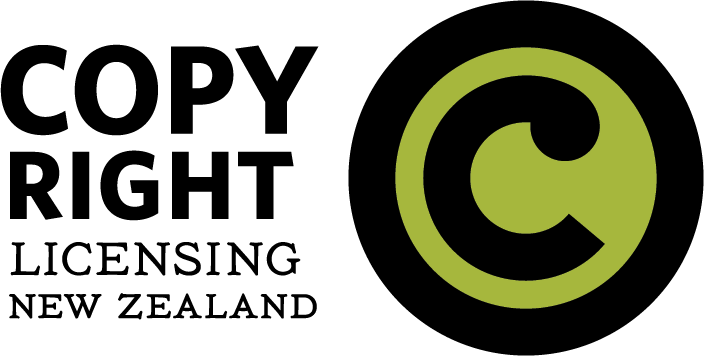 Copyright Licensing New Zealand (CLNZ) represents publishers and authors in providing licences to organisations which reproduce copyright material from hard copy, text-based resources. Educational institutions take up licences with CLNZ to increase the amount that can be legally copied from published books, journals and periodicals. CLNZ collects licensing fees for the reproduction of such material and distributes it to publishers and authors. Under the CLNZ licence, teaching staff may make multiple copies from books, text books, journals, and periodicals for supply to students enrolled in a course of study at the licensed institution. Copies may be provided to students in hard copy or electronically via a password protected system, such as by e-mail, via an intranet or an electronic whiteboard. Sufficient copies may be made to distribute in one or more formats to each student (and staff member) intended to receive a copy, as well as spare copies to replace lost copies. Unlike copying under the Copyright Act, tertiary education providers may recover costs incurred in providing copies to students under the licence. Also, unlike copying under the Copyright Act, repeat copies can be made within 14 days, provided that such copying is not made by or on behalf of the same staff member for the same paper, unit, or module of a course of study. This restriction on repeat copying does not limit repeat access to material copied electronically and supplied to students under the licence. A whole diagram or illustration which is published in a work copied within the above limits. The CLNZ licence also allows copying of out-of-print (OOP) works in their entirety, provided that permission is first obtained from CLNZ who must be satisfied that the OOP work cannot be obtained within a reasonable time at an ordinary commercial price. Copies of OOP works may only be made in hard copy form. The CLNZ licence requires material be copied accurately so that the structure, layout, authenticity and integrity of the original is preserved. However, interleaving or interspersing comments or additional material for teaching purposes is permitted as long as bibliographical details are provided with the material copied. The CLNZ licence does not cover material printed from the Internet or from subscription databases. Exclusions from the licence include printed music, illustrations or photographs which are not published on the copied page, theses, dissertations, student papers, loose maps and charts. Further information can be found on CLNZ’s website. Screenrights is an organisation that represents rights holders in film, television and radio and licenses its members’ works for use by educational institutions. The Screenrights licence allows recording from television (pay or free-to-air) or radio. It also allows teachers to download online material like podcasts or programmes, as long as the source is legal. (Note however that radio from the internet is currently limited to certain programmes listed in the licence.) Copies may be stored in any format and made available to students in a class or stored in the library. Further information can be found on Screenright’s website. APRA/AMCOS (Australasian Performing Right Association and Australasian Mechanical Copyright Owners Society) and PPNZ Music Licensing represent songwriters, composers, music publishers, recording companies and artists. Together, these organisations have the right to license organisations to play, perform, copy, record or make available their members’ music and sound recordings, and distribute the royalties to members. The Music Licence allows performance of musical works and sound recordings for educational purposes, such as playing music in lectures. It also allows teachers to make copies of works for staff and students for educational purposes. There are specific limitations, including copying of printed music, performance of “grand right works” such as operas, ballets, musicals) or performance of any work in a dramatic context. Further information can be found on APRA/AMCOS or Recorded Music. The Print Media Copyright Agency (PMCA) currently provides licences to corporate and government organisations that copy newspapers and magazine articles. Further information can be found on PMCA’s website. Subscription materials, such as electronic databases, e-books, e-journals and CD ROMs are governed by licences between tertiary education providers and individual vendors or aggregators of content.